As it is mostly the case in emerging markets, it has been a year with ups and downs for the Turkish economy. Turkey was the fastest growing economy in the G20 last year with an annual growth rate of 7.4 per cent, as the government incentives powered it out of a slump that followed the coup attempt in July 2016. Also in parallel, the Turkish Stock Exchange had experienced a ground-breaking run and hit almost 120,000 points although it has slumped lately. Economic output was led by the industrial sector, which increased 8.8 per cent, and the construction sector, which grew 5.8 per cent. Turkey's exceptional economic growth came at the cost of a double digit inflation rate and strong domestic demand without parallel growth in exports created a wide current account deficit (approximately US$50 billion). Increasing vulnerability and weakness of Turkish lira had a dominant effect on Turkey's economy lately. The Turkish lira devaluated more than 15 per cent this year. Despite above economic trends, the banking market and the capital markets are still liquid, and the banks are comfortable with providing loans to large corporates. Smaller scale businesses (SMEs) have been benefiting from the funding provided by the credit guarantee fund2 through Turkish banks. However, lately we are observing a tightening on the lending markets owing to a number of issues. First, the cost of funding is increasing for the Turkish banking sector and banks are becoming more risk averse on opening new limits and in rollovers of foreign currency short-term loans, especially at hold-co level. Second, the cost of funding, especially in Turkish lira borrowings, is increasing and borrowers tend or prefer to borrow in foreign currency. However, owing to the increase in devaluation of the Turkish lira, the government has introduced a number of restrictions to foreign currency borrowings by companies that do not have direct foreign currency revenues. In March 2018, Moody's lowered the sovereign rating of Turkey to Ba2 from Ba1, two notches below the investment grade, and in May 2018, Standard and Poor's decreased the rate to BB- from BB. S&P's downgrade was not as a result of a scheduled review, but over growing concerns. The reasons behind the downgrades were not because of regional or global events but mostly Turkey's internal dynamics, which were cited by ratings agencies as a continued weakening of economic and political institutions, increased risk of external shock stemming from higher external debt, the wide current account deficit and high rollover requirements, a deteriorating inflationary outlook, the long-term depreciation and volatility of the Turkish lira and rising distress in the externally leveraged private sector. The above-mentioned risks are in addition to Turkey's traditional geographical risk owing to its close proximity to conflict zones such as Syria and Iraq. The geographical risk of Turkey is also a concern in relation to its trading partners such as Iran and Russia, which are natural trade partners for Turkey, but are also sanctioned countries. Furthermore, the recent snap election decision for the presidency increased the political instability and the concern for further account deficit owing to potential government spending ahead of elections in 24 June 2018. 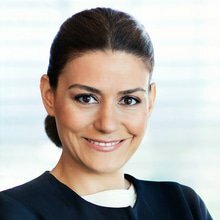 The preferred restructuring technique in the Turkish market has always been informal restructuring, usually in the form of bilateral negotiations between the creditors and the debtors, mostly by way of refinancing of the bank loans. 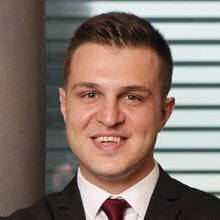 The main reason driving this trend, we believe, has been the fact that the formal restructurings generally provide broad discretion and authority to the courts over the creditors and that the banks are proactive in refinancing loans before a potential payment default for internal reasons. Most restructurings are based on informal procedures, and this data is not available. As explained above, the Turkish market is generally dominated by informal bilateral restructurings, but there are two formal restructuring mechanisms provided by Turkish legislation. These are: (1) the concordat; and (2) the restructuring upon settlement. These mechanisms also constitute a remedy to avoid the bankruptcy. Postponement of the bankruptcy was also a formal and popular restructuring method, but was abolished as of March 2018. Informal negotiations are usually opted for by the relevant parties owing to its confidential nature. Since all structured and formal restructuring options require, at one stage, filing with the court, the financial status of the debtor becomes public knowledge. Parties generally try to limit disclosure of a debtor's financial difficulty so it is able to manage its reputation, ongoing vendor relations, as well as relations with other creditors. This is also generally preferred by creditors for the same reasons; under formal bankruptcy their chance of collecting their receivables would diminish extensively, unless they are privileged or secured creditors. However, it may not be easy to make these agreements work because, ultimately all creditors must consent to the restructuring arrangement (even if not under the same document) in order to ensure that intercreditor relations and subordination of certain debts are secured. The risk of not including one of the creditors into these informal negotiations would be for initiation of bankruptcy procedures by such singled out creditor, which would prevent enforcement of the restructuring arrangement. Concordat is one of the formal restructuring options provided under the Enforcement and Bankruptcy Code No. 2,004 (EBC) for debtors who are unable to pay their due debts and who will not be able to pay their undue debts at the due date. Accordingly, an insolvent debtor, or a creditor who is allowed to file for bankruptcy, may initiate concordat proceedings before the commercial court. Upon filing for concordat, the court announces such in accordance with the EBC. the financial reports prepared by independent audit companies, certified by the CMB or the Public Oversight Accounting and Audit Standards Authority, proving that the payment plan filed with the preliminary concordat project is likely to be successful. If concordat filing is made by a creditor, the court is required to grant a reasonable deadline to the debtor for submission of the above documents. The concordat consists of a restructuring agreement between the debtor and its creditors under the court's supervision in light of the preliminary concordat project. Therefore, concordat means the debtors' postponement of the due debts or reduction of the debt amount, or both. The court appoints a temporary concordat trustee, or a panel of trustees, to review whether the restructuring can be successful and grants a temporary concordat term up to three months for such review. The three-month period may be extended up to five months by the court. During the temporary concordat term, the temporary concordat trustee prepares its report, which determines whether the concordat can be successfully completed, and files it with the competent court. The competent court schedules an oral hearing before expiration of the temporary concordat term, at which the court may decide to: (1) reject the concordat claim if it is not convinced that the restructuring will be successful; or (2) grant a definitive concordat term for one year. The restructuring agreement or the payment plan suggested by the debtor is required to be accepted by majority of the creditors, who have registered themselves with the concordat trustee. Moreover, the amount of the receivables of the creditors who accept the restructuring agreement must constitute the majority of the registered receivables' amount. Alternatively, a quarter of the registered creditors and two-thirds of the registered receivables are sufficient for acceptance of the restructuring agreement or the payment plan. Secured and privileged creditors' receivables are not taken into consideration in calculation of the quorums, but if the security does not cover the debt pursuant to the valuation made during the proceeding; the remaining unsecured debt will be taken into consideration. Therefore, the position of the unsecured creditors is essential during a concordat proceeding. Once the required majorities are reached, the restructuring agreement should be submitted to the court for its approval within the definitive concordat term. The court approves the concordat (the restructuring agreement or the payment plan) if the payment plan is proportional to the financial conditions of the debtor and if the court is convinced that the amount that will be paid to the creditors pursuant to the restructuring agreement is higher than the amount that potentially be collected by the creditors in the event of bankruptcy; the concordat must be more beneficial than bankruptcy for the creditors. The court is required to list the discount made by the creditors and the postponed due dates in its decision approving the restructuring. Once approved by the court, the restructuring agreement binds all creditors of the debtor, except for: (1) creditors secured by a pledge on movables or mortgage; and (2) public debts related to rights in rem attached to real estate (e.g., taxes arising from the mere existence of the secured assets). If the court rejects the concordat request, it declares bankruptcy. The EBC also regulates concordat by way of abandonment of the debtor's assets.3 This entitles the transfer of the debtor's assets to the creditors. In this case, the restructuring agreement will set out the details of the transfer instead of postponement of due dates and the discount of debts. The required quorum for this type of concordat is the same with ordinary concordat. If approved, the debtor's assets will be shared by the creditors or be liquidated through a liquidator appointed by the creditors. Concordat by way of abandonment of the debtor's assets is very rare in practice. The EBC also regulates restructuring upon settlement for companies that are insolvent, nearly insolvent or are not able to pay their debts on time. This alternative is a negotiation scheme between the debtor and the creditors. The restructuring is finalised if agreed by the required majority, consisting of: (1) a simple majority of those creditors who are affected by the restructuring and participated in the voting, and (2) the receivables of such simple majority corresponding to two-thirds of the receivables of the creditors who are affected by the restructuring and participated to the voting. The restructuring document once finalised should be submitted to the competent commercial court for approval; accordingly, although the court is not involved in the negotiations, it is still required to confirm or reject the restructuring plan. This is also not a commonly exercised restructuring option in the Turkish market. Only the secured creditors may initiate the debt-collection proceedings during the definitive concordat term or continue the debt collection proceedings initiated before the grant of the definitive concordat term. However, the liquidation of the security is prohibited. In other words, even the secured creditors cannot finalise the debt collection proceedings. It is worth stating that the unsecured debts will not accrue interest during the definitive concordat term unless the restructuring agreement provides otherwise. Further, during the definitive concordat term, the debtor cannot give any security or guarantee, transfer its immovables (or the main equipment of its plants) or make gratuitous transactions unless the court permits to do so. The purpose of this provision is protecting the assets of the debtor to avoid worsening the conditions of the creditors. Finally, the secured creditors can enforce their security during the proceeding. Moreover, the individual debt collection proceedings are not suspended, and new proceedings may be filed unless the relevant court orders an injunction to prohibit them. The creditors' table prepared in respect of Article 206 of the EBC outlines the priorities among the receivables or debts. Accordingly, the secured debts through a pledge on the movables or mortgage and the unsecured claims are treated separately in terms of priority. The secured claims through a pledge on movables or mortgage are prioritised for proceeds of the security; they are solely preceded by the costs for the liquidation of the security. After the payment made to the secured creditors and reserving the liquidation costs, the public debts related to the security are paid. According to Article 376 of the TCC, the board members may be held liable for the losses incurred by the company, if the losses or damages arising from their negligence or fault; such as, breach of the relevant provisions of the applicable law or articles of association. There should also be causality between the loss or damage and the negligent or faulty action of the board. In principle, damages claims against board members may be requested by the company itself or the shareholders. However, if the company suffering the damage is bankrupt, the creditors would also be entitled to seek damages from the Board. This right is only secondary though; the creditors' can only exercise it if the bankruptcy administration has not filed a lawsuit to seek such compensation, pursuant Article 556 of the TCC. Further, a debtor may be convicted with imprisonment of six months to three years and a penalty up to 1,000 days owing to the unjustified reduction of a company's assets after initiation of an enforcement proceeding or two years before the date of the initiation of an enforcement procedure in order to prejudice the creditor. If a company is found to be guilty, the board members (as the managing organ of the company) can be held personally liable for such crimes. The members of the board may also be convicted to imprisonment of six months to two years for inflicting loss to a company's creditors by non-payment upon the complaint of the relevant creditor pursuant Article 333/a of the EBC. Under Turkish law: (1) a joint stock company's liability against its creditors is limited with its assets; and (2) a joint stock company's shareholders' liability against the company is limited with their capital contribution in the company. As such, there is no look-through liability; the shareholder's liability ends with the payment of the capital contribution. Limited liability company's shareholders, on the other hand, may be held personally liable for payment of a company's debts, especially for the public debts. A parent company can be liable if there is an abuse of power or unlawful act of the parent company instigating a loss or damage to its subsidiary. In such a case, normally the TCC requires the loss to be reimbursed by the parent company within the same fiscal year in which the loss has occurred. Otherwise, the shareholders and stakeholders (i.e., the creditors of the subsidiary) would be entitled to recourse directly to the parent company, or the board of the parent company. The parent company's liability is limited to the losses of its subsidiary, and the parent company is only liable to reimburse the subsidiary; the creditors or the stakeholders cannot request payment from the parent company for their own receivables. Piercing the corporate veil (i.e., direct liability of the shareholders) is only applied in exceptional cases under Turkish law where the facts of the case deem it equitable. Therefore, there is not much case law on this; but, according to common principles, piercing the corporate veil can only be justified and would be equitable when there is fraud or the shareholders render the company, with no valid or reasonable purpose, excessively indebted and disproportionately so to the total value of its assets, against good faith principle. In such cases, the courts may decide to pierce the corporate veil and decide on holding the shareholders directly liable with their own assets against the creditors of the company. If the shareholder of a company is held liable owing to lifting the corporate veil, usually the liability would vest on the majority shareholders (i.e., the minority shareholders who had absolutely no management control over the relevant entity would probably not be held liable for company actions). In addition to the general principles set out above, Article 333/a of EBC provides that if the de jure or de facto executives of a company cause damage to the creditors by not paying all or part of the liabilities with the intention of causing damage to the creditors, the executives may be sentenced to imprisonment from six months to two years and a fine up to 500,000 lira, provided that the relevant actions do not constitute another offence. Pursuant to Article 277 et seq. 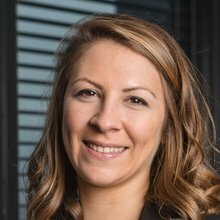 of the EBC, creditors of a Turkish debtor that is unable to pay its debts (the Insolvent Party) are entitled to apply to courts to invalidate certain transactions entered into by the Insolvent Party within five years of the date of the voidable transaction. The transactions that may be invalidated generally consist of those made for no consideration (including donations) or for a consideration that is significantly less than the actual value of the transaction. annotations made to the title deed for purpose of strengthening contractual rights. The court would not declare any such arrangements void if third parties that benefit from such security arrangements prove that they were not aware of the financial condition of the Insolvent Party. disposals made in bad faith: Disposals made by the Insolvent Party acting intentionally against the interests of its creditors may be invalidated by the creditors of the Insolvent Party if such disposal took place within the five years prior to the initiation of either attachment or bankruptcy proceedings against the Insolvent Party. In order for such an invalidation request to succeed, the creditors must prove that the third-party purchaser of such assets, at the time it entered into the transaction, was aware or should have been aware of the Insolvent Party's financial condition and of the fact that the Insolvent Party was not acting in good faith. Note that a third party that has acquired assets of the Insolvent Party through a transfer of business or through transfer of commercial assets of a business is deemed by the EBC to be aware of the Insolvent Party's financial condition and of the fact that the Insolvent Party was not acting in good faith. The third party may, however, evade such assumption by: (1) giving three months' prior written notice to the creditors of the Insolvent Party, or (2) announcing the transfer via visible notes at the business premises and publishing the upcoming transfer in the Trade Registry Gazette, or by any other suitable means that would reach the creditors, three months prior to the transaction. Recently, Turkey undertook a serious overhaul by drastically amending its bankruptcy and enforcement law with a focus on restructuring mechanisms. One of the commonly exercised formal restructuring techniques was postponement of bankruptcy. However, this scheme provided relatively unbalanced rights to the insolvent party because upon its commencement the creditors were left out of the process. In July 2016, postponement of bankruptcy was practically abolished by a statutory decree ceasing application of this mechanism during the time of state of emergency, which Turkey has been under after the attempted coup since July 2016. Since then, Law No. 7,101 on Amendments to the Enforcement and Bankruptcy Code and certain other Codes (the Law) was enacted on 15 March 2018,. The Law completely removed postponement of bankruptcy and introduced a revised mechanism of concordat. Concordat, is actually not a new concept under Turkish law and has always been regulated, but had not been opted for in practice. 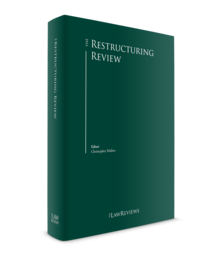 The reform introduced with the Law is construed as an attempt to balance the parties' (both debtor' and creditors') rights in restructuring procedures. Furthermore, a recent change in the capital markets legislation has strengthened the step-in rights of banks for listed companies. As a result of this change, a mandatory tender offer to minority shareholders will not be triggered by the transfer of control to lenders acquiring control based on a share pledge. The ongoing restructuring of the US$ 4.75 billion loan provided to Oger Telecom AS (OTAS) by a syndicate of Turkish and international banks in May 2013 is one of the most important restructurings in Turkey, if not the most important. This loan was the largest corporate loan when issued and was provided for the purpose of refinancing of the acquisition financing of Türk Telekom, which is by nature a strategic asset in Turkey. Türk Telekom is a listed company controlled by OTAS, but the Turkish Treasury has a golden share in the company. Furthermore, there are step-in rights of the Turkish Treasury if OTAS defaults. It is known in the market that OTAS has failed to repay its loan since September 2016. The restructuring is still ongoing as of the date of this chapter. On the other hand, one of the most notorious bankruptcy cases of this year was bankruptcy of Asya Katılım AŞ, widely known as Bank Asya. The Banking Regulation and Supervision Agency decided to cancel the banking licence of the Islamic lender Bank Asya on 22 July 2016. The bank was claimed to have close connections with the Fethullah Terror Organisation (FETO), which is the group behind the defeated coup attempt dated 15 July 2016. Following this, the Istanbul First Commercial Court ruled on the bankruptcy of Bank Asya on 16 November 2017. Liquidation of Bank Asya's assets is still on-going before the Istanbul First Bankruptcy Office. The most significant insolvency in the market is the insolvency of Bank Asya, which was declared bankrupt on 16 November 2017 following the cancellation of its banking licence on 22 July 2016. However, the insolvency of Bank Asya has been considered as an exceptional case by the market since the cancellation of the banking licence was because of criminal acts rather than the financial condition of the bank. In terms of restructuring, the two major restructurings that affected the market are the restructurings of two large conglomerates, Yıldız and Dogus. One of the restructurings was initiated by the fact that a Turkish bank did not agree to roll over the foreign currency short-term loans at the hold-co level. This created a concern among the borrowers over unsecured short-term borrowings in foreign currency, and we are observing series of refinancings converting the unsecured short-term foreign currency debt to secured but long-term foreign currency debt. In other words, borrowers are concerned of rollover exposure. This domino effect in the Turkish market is further detailed below. Generally, construction and energy are two of the industries that are highly affected by the negative market conditions in Turkey. As a result, there has been a number of insolvent SME construction companies and there are major restructurings in energy sector, along with an increase in energy M&A deals. One of the larger bankruptcies in construction is the bankruptcy of Inanlar, which was a reputable construction and real estate development company. The rumoured bankruptcies in the construction sector made potential purchasers reluctant to acquire uncompleted real estate projects, which further negatively affects the cash flow of ongoing real estate projects. As stated above, the reflection of the financial difficulties of energy companies has been in the form of increased M&A deals. Following the Turkish economic crisis in 2001, postponement of bankruptcy has been the most frequently used technique in restructuring. However, the system was abused by some companies that were creating or reflecting fictitious debts to be able to apply for postponement of bankruptcy in order to get benefit from halting payments. Accordingly, creditors were bewailing this owing to the abuse of the postponement of bankruptcy by malicious debtors. As explained above, with the enactment of the Law on 15 March 2018, the postponement of bankruptcy has been completely abolished. New rules and regimes were introduced to the concordat scheme, with an aim to simplify the process and promote such insolvency and restructuring methods. We believe concordats will be the new popular restructuring technique method in Turkish market. Regarding the significant restructuring transactions of 2018 in Turkey, as explained above, the ongoing restructuring of the US$4.75 billion loan provided to OTAS by a syndicate of Turkish and international banks in May 2013 is one of the most important restructurings of Turkey. The restructuring of the unsecured short term foreign currency debt of major holding companies was a new type of restructuring in the market during this year. Short term foreign currency funding was advantageous to Turkish holding companies since it was unsecured and well priced. However, in the current market conditions, companies are taking a rollover risk since Turkish banks might not rollover such loans, and even if they do, this might be at a very high price. Therefore, borrowers are requesting banks restructure such loans. The two major examples of this type of restructuring that are also called 'performing restructurings' are the restructuring of Yıldız and Dogus. Yıldız restructured loans amounting to US$7 billion, and Dogus is still working on the restructuring of US$1 billion out of its US$6 billion loan portfolio. Both of the restructurings were made on a consensual basis, that is, with mutual agreement of lenders and the borrower. The third type of restructurings are refinancing of existing loans of energy companies and construction companies. Both industries were hit by the market conditions and are in need of refinancing of their existing debt and extending maturity in order to be able to service the debt. On the construction side, decreasing real estate prices owing to excessive supply and the rise of interest rates along with the increase of construction costs put the pressure on the construction market. The energy sector, which has significant hard currency borrowings, was hit by devaluation of Turkish lira along with rising natural gas and oil prices, as well as lack of realisation of the projected growth in the energy markets. Turkish banks (which have one of the lowest NPL ratios in the emerging markets) are accommodating such refinancing requests in most of the cases to keep their NPL ratios as low as possible. In terms of market trends, the refinancing packages offered by banks include a more restrictive set of covenants including financial covenants and more restrictive cash sweep provisions transferring all excess cash to banks. In some cases, Turkish banks are requesting borrowers appoint independent professional advisers on the management of the company to strengthen governance. One of the key developments in connection with wave of restructurings in the market is the restriction by the Central Bank of Turkey of foreign currency borrowings of Turkish corporates with no foreign currency revenues except in limited cases. With a change to Decree No. 32 on the Protection of Turkish Lira in effect since 2 May 2018, Turkish corporates are not authorised to borrow in foreign currency from Turkey or from abroad except if they have foreign currency revenues, in which case their borrowings cannot exceed their revenues of the three past years; if they do not have foreign currency revenues then they should have an outstanding cash loan balance of US$15 million or more or they should benefit from other exceptions stated in the Decree. Although the European Convention on Certain International Aspects of Bankruptcy was signed by Turkey in 1990, the Convention has not come into force. Turkey, accepted International Arbitration Law No. 4,686, mainly a reflection of the UNCITRAL Model Law; it has not adopted the UNCITRAL Model Law on Cross-Border Insolvency. As a result, there are no developments or key cases under the EC Regulation in Turkey since there is no international treaty, model law or EU legislation to which Turkey is a party in insolvency and bankruptcy restructuring. According to Article 154 of EBC (which regulates the competent authority for reviewing bankruptcy filings), there are contradictions and different approaches adopted by the Court of Appeal and the doctrine with regard to the recognition of foreign bankruptcy proceedings. Some scholars consider this Article an exclusive jurisdictional rule, while others assert that foreign bankruptcy decisions given in the country where the debtor's headquarters is located can be recognised in Turkey. As a result, there is a risk that Turkish courts will not recognise the bankruptcy decision given by foreign courts because of the principle of territorial sovereignty. We expect the wave of restructurings to continue in Turkey and the restructuring methods to further develop based on the needs of the market. We do not expect any material changes to restructuring legislation for the time being. 1 Sera Somay is a partner, Selin Barlın Aral is a counsel and Ibrahim Doguhan Uygun is an associate at Paksoy. 2 Credit guarantee fund is a sovereign fund providing guarantees to SMEs on their borrowings by Turkish banks. 3 Mal varlığının terki suretiyle konkordato.